As our daughters encounter struggles and defeats throughout their life, one of the traits we most want them to develop is a sense of resiliency: a sense that they can pick themselves up and try again. But key to this resiliency is a sense of purpose – why you are trying so hard, bruised and battered, to pick yourself up and try again. 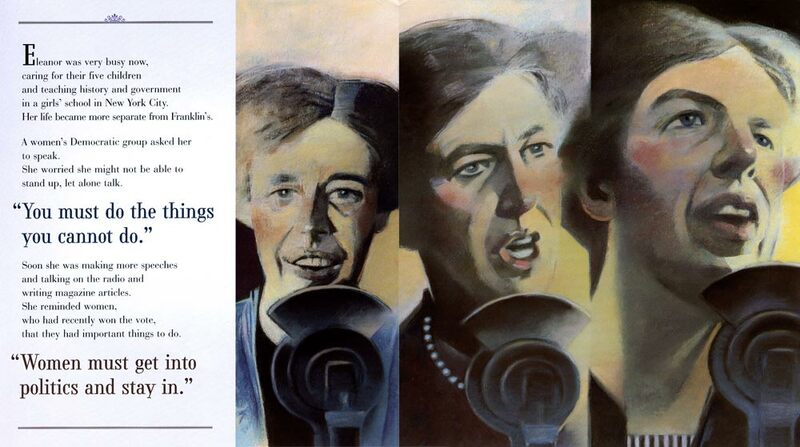 We do learn from history, and a remarkable woman to share with our daughters is Eleanor Roosevelt. She epitomizes resiliency in many ways. Throughout her life she encountered difficulties and tragedies, but she discovered a true passion and purpose and through this was able to develop a much stronger belief in herself. Below are two excellent books to share with your children. Eleanor, Quiet No More, by Doreen Rappaport, introduces Eleanor Roosevelt as a woman who blossomed as she discovered her own abilities, her calling to help others, and her voice in the life of the nation. As in Martin’s Big Words, Rappaport uses Roosevelt’s own words to anchor each page, showing Roosevelt’s growth from an insecure, unhappy child to an influential voice in the politics of the nation and the world. Eleanor’s early life, while one of great privilege, was also one filled with tragedy. Both of her parents died before she was ten, and she was raised by her grandmother with little affection. Although her new husband, Franklin Delano Roosevelt, was charming and caring, Eleanor’s mother-in-law was controlling and domineering. As Franklin entered politics, life began to change for Eleanor. 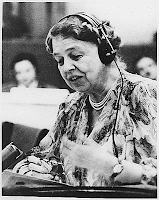 Rappaport’s introduction to Eleanor Roosevelt is especially powerful in the way she shows how Eleanor grew into her own voice. She used her position as the wife of a senator, and then as the first lady to pressure officials to provide the best care for wounded soldiers, to help the millions of people out of work in the Great Depression. Gary Kelley’s artwork conveys Eleanor’s growing confidence and sense of purpose. His muted colors convey the gravity of the times, but may not pull children into the book. The book’s cover, dominated by subdued grays and blues, does not immediately attract children the way some of Rappaport’s other books do, but its message certainly does. Enjoy sharing these compelling, riveting, moving books with your children as you celebrate Women’s History Month. All quotes in bold above are from Eleanor Roosevelt, as shared in Eleanor, Quiet No More, by Doreen Rappaport. 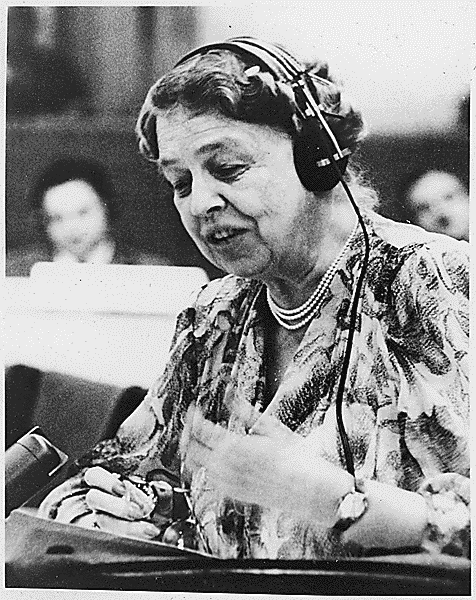 For archival, public use photographs of Eleanor Roosevelt, see Wikimedia Commons. This review was originally published on the site: Kidlit Celebrates Women's History Month. Thank you to Lisa and Margo for their inspiration and guidance. The review copies came from my local library. If you make a purchase using the Amazon links on this site, a small portion will go to Great Kid Books (at no cost to you). Thank you for your support!